"Nothing will stop" Catalonia's government from organising an independence referendum on 1 October, and if independence wins, the EU will have to accept it, the Catalan leader has said. "It will be a moment of realpolitik," Carles Puigdemont said on Friday (30 June). "It's in the EU's interest to find a solution." "If a majority of Catalans vote for 'Yes', there is a reality, and the European Union must accept reality," he said, adding that "it is not possible to build Europe without Catalonia." Puigdemont, a 54-year-old former journalist who became president of Catalonia's regional government in January 2016, announced the date of the referendum last month. "We are a very European nation," Puigdemont told a group of European journalists over lunch in the Generalitat, the seat of the autonomous government in Barcelona. He argued that Catalonia was "at the roots of European identity" since Charlemagne, that it would be a net payer to the EU budget and that it is a europhile "model of an EU member state". He said that in the case of a vote for independence, his government would start talks with the Spanish government and the EU to try to find an agreement on "how Catalonia can become a fully independent state". He admitted that while Spain would "obviously" not recognise Catalonia's independence, some EU member states would also take "months or years". "We know that there will be a transitional period, like in other independence processes," he said, adding that he would "prefer" the transition to be short, with an agreement with the Spanish government. 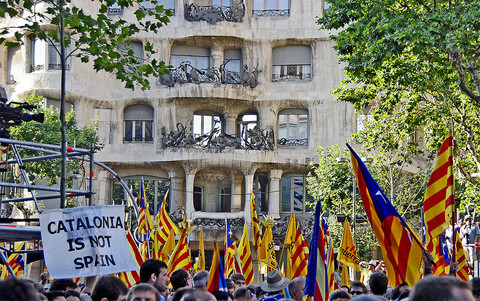 The European Commission has argued that the referendum is a domestic Spanish issue, which concerns its "constitutional order". The EU executive has refused to comment on the vote and what could follow. Puigdemont said he understands that EU countries and institutions don't want to have problems with Spain, the bloc's fifth biggest country. "We don't demand to recognise something that has not happened," he said. "Until the referendum, we will not demand any country to support our independence project." But he added that if the Yes wins, "we will have the right to knock at the door of the European Union and the international community." 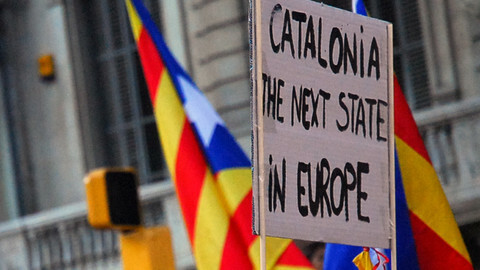 He noted that as long as Spain doesn't recognise independence, "Catalans will remain European citizens." The Catalan leader rejected the notion that the EU, which is overcoming the shocks of the financial and migration crisis, as well as Brexit, would be wary to support Catalonia in order to avoid a new crisis with Spain. "Is there a right moment for this? To be honest, it's not the question," he said. "Our moment is now." The Spanish government and the Spanish Constitutional Court have said that a referendum would be illegal. Mariano Rajoy, the conservative prime minister, has rejected Puigdemont's demands to discuss modalities of the vote, such as the level of turnout and majority that should be taken into account to recognise the result. Authorities in Madrid have said they would use "all means" to stop the referendum or an independence process, triggering fears that the Spanish army could be used. 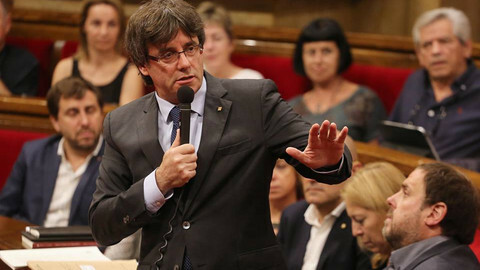 The Catalan leader rules out the idea. "I'm confident that the violent option is not on the table," Puigdemont said. "It's only a political conflict, expressed in terms of democracy." He noted that the Spanish government's response so far has been "judicial, not political". 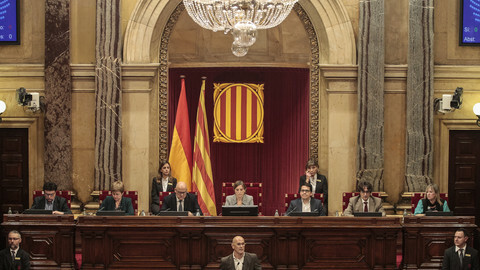 In particular, the speaker of the Catalan parliament, Carme Forcadell, was prosecuted for allowing the assembly to vote on the independence process. 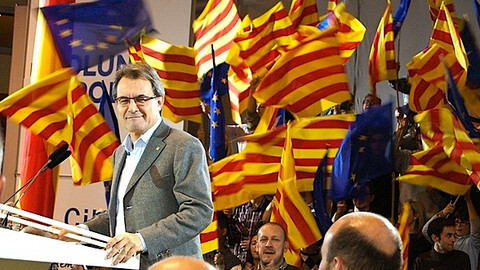 Artur Mas, Puigdemont's predecessor, was sentenced in March to a 2-year ban from public office for holding the 2014 consultation, which was not binding – whereas Catalan authorities say this year's vote will be. Puigdemont said that the Spanish government could automatically suspend civil servants who participate in the organisation of the referendum, and that he himself could be suspended from office when he officially calls the vote at the end of August or early September. "Who knows what the Spanish reaction will be?" he noted. "It doesn't matter, nothing will stop us," he said. "We have a clear mandate from the parliament, from the voters". He insisted that he is "a peaceful man" and that Catalans' reaction to any move from Madrid to stop the process "would be a civic reaction". Being able to vote "would be a victory for us," he said. "Citizens will have acted as political subjects." He said that if independence loses, he will call new regional elections to see if Catalans still want a pro-independence government. 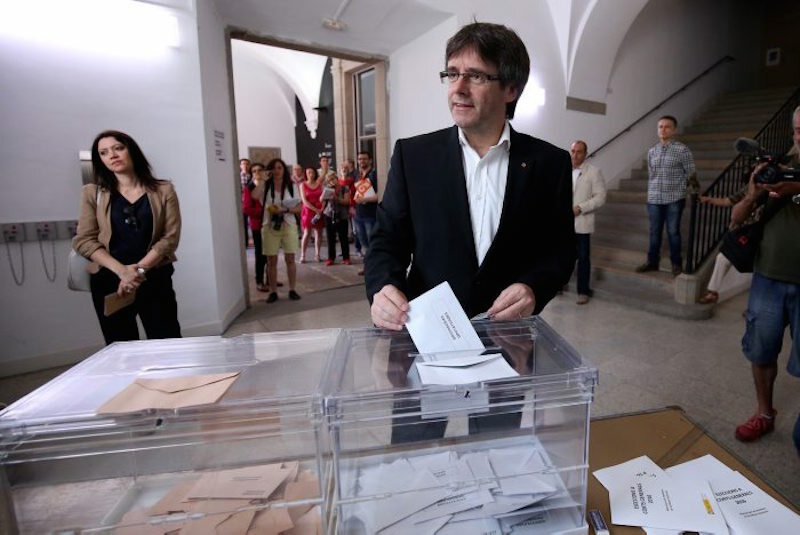 The vote, as well as the case for independence, "is a matter of democracy," Puigdemont said. "We want to live in a completely democratic society," he said. "We feel that the Spanish state is not our state. It is a state against Catalonia. 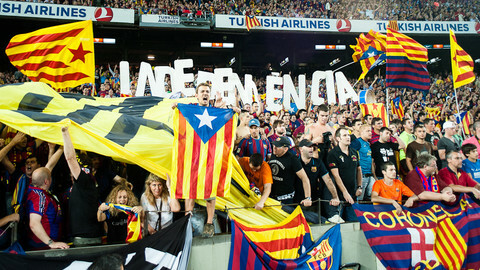 They tell us that to be in [Spain's] first division we have to stop being Catalan." "Without the tools of a state we have no opportunity to survive in the Spanish state," he said, mentioning the need to maintain and develop infrastructures, health services, the education system, as well as the Catalan language and culture. The Catalan leader pointed out that his region represents 16 percent of Spain's population and over 19 percent of its GDP. Catalan, however, contributes 21 percent of taxes collected by the Spanish state and only receives 8.9 percent of public investment. "We don't want to be a services country for tourists," he said, adding that about 20 percent of the Catalan economy is based on industry. 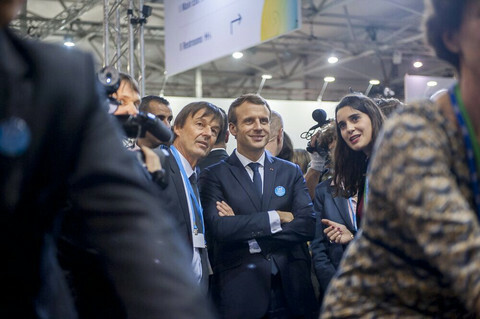 "We want to have opportunities in the new industrial revolution, in order to create jobs." Puigdemont insisted that the independence process was the only way to obtain the means to develop Catalonia. He said that the Spanish government doesn't want to admit that there is a problem with the current statute of autonomy, because then it would have "to find a solution, and all the solutions will benefit Catalonia". A new statute, which would give more autonomy to Catalonia instead of independence, "is not on the table," he said. "Not from the Catalan side, nor from the Spanish side." "Our proposal to improve relations is to build an independent state," he said. 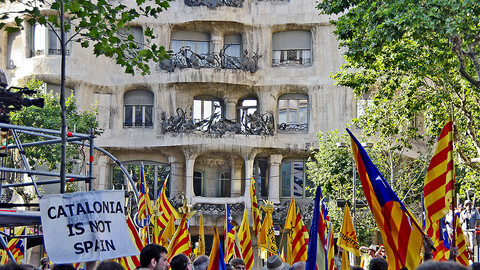 This article is the first in a two-part report about Catalonia's independence referendum, written after a press trip organised by Catalan authorities. The second article was is on the independence debate. Catalonia's ex-leader banned from holding office over a 2014 vote on secession, but current leader has pledged a binding referendum in autumn. A draft bill, presented Tuesday, says that the Catalan parliament would declare independence immediately if separatists win a referendum on the issue on 1 October.